Rotten Tomatoes' are at it again! 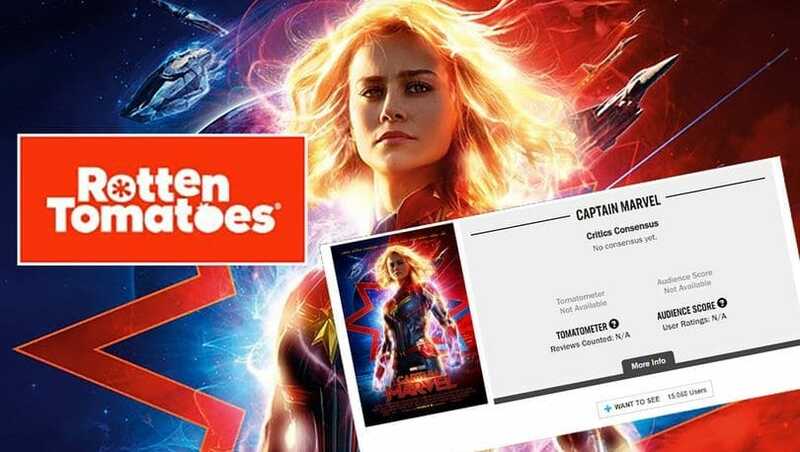 It is all about the bug which Rotten Tomato explains that cause the removal of the thousands of audience’s reviews from Captain Marvel showing up within the first opening hours of this latest MCU movie. We all know that this movie is doing great in the official days of its release. Within hours of Captain Marvel screened on the big screen, thousands and thousands of audience criticized this movie and flooded with their reviews. The site scored about a rating of about 30% on this movie by the critical acclaimers. So why did Rotten Tomatoes delete thousands of audience reviews? Around 58,000 people have said about this movie and wanted to portray their review. The Hollywood Reporter has said that they were happy to see how many people taking an active part into this movie. This accounted about more than the number of people who were there present for the decent theatrical run. According to the statements which were submitted by Rotten Tomatoes, it said that, since so many users wanted to portray their reviews and concern. This happened without even waiting for the actual of screening of Captain Marvel in the theatres, this flooded the content of the site. And this is why Rotten Tomatoes’ retooled function which prevents online trolls and review bombing took into action. This seemed like, Rotten Tomato suffered from a technical difficulty as soon as it implemented their newly found system management. Rotten Tomatoes admitted that they have worked towards it and have added a feature which does not let a user comment on a movie unless it has officially screened on theatres. However, Rotten Tomatoes still enables a user to vote on the choice of them watching a movie or not. It is still available on their platform just like usual. So if you want to score a film and rate it according to their performance, then why only Rotten Tomato? There are other options you can still manage to choose for the best.